GARDAÍ IN DUBLIN are renewing their appeal for information over a fatal hit-and-run collision in February 2009. 38-year-old Edward Lynch was walking on Claddagh Road, Ballyfermot sometime between 8pm and 9pm on Sunday 22 February 2009. 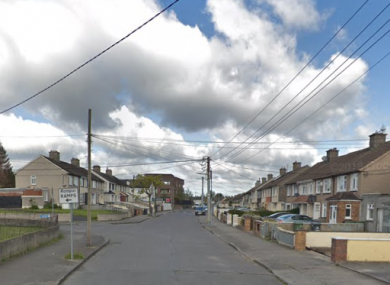 He had just left a vehicle on Claddagh Road and was walking towards another vehicle, which was at the junction of Claddagh Road and Claddagh Green, when he was struck by a Nissan Micra. The car, with a 98-D registration, had driven from Inagh Road. Lynch got into a car and followed the Micra up to Ballyfermot Road. Here, an altercation took place between the occupants before they went their separate ways. He returned home and complained of feeling unwell. He was then found dead at his home on the morning of 25 February 2009. A post-mortem examination was carried out and the results indicated the Lynch died following injuries sustained as a result of the hit-and-run collision. A number of people have been arrested in connection with the investigation. However, no one has been charged to date. Investigating gardaí are appealing to anyone who may have witnessed this incident or anyone who may have information to contact Ballyfermot Garda Station on 01 666 7212, the Garda Confidential Line on 1800 666 111, or any garda station. Email “Gardaí renew appeal over 2009 hit-and-run that killed 38-year-old man”. Feedback on “Gardaí renew appeal over 2009 hit-and-run that killed 38-year-old man”.